SUPER GREAT TO FIX LAST-MINUTE WRINKLES IN YOUR CLOTHING BEFORE FORMAL EVENTS OR GOING TO WORK! 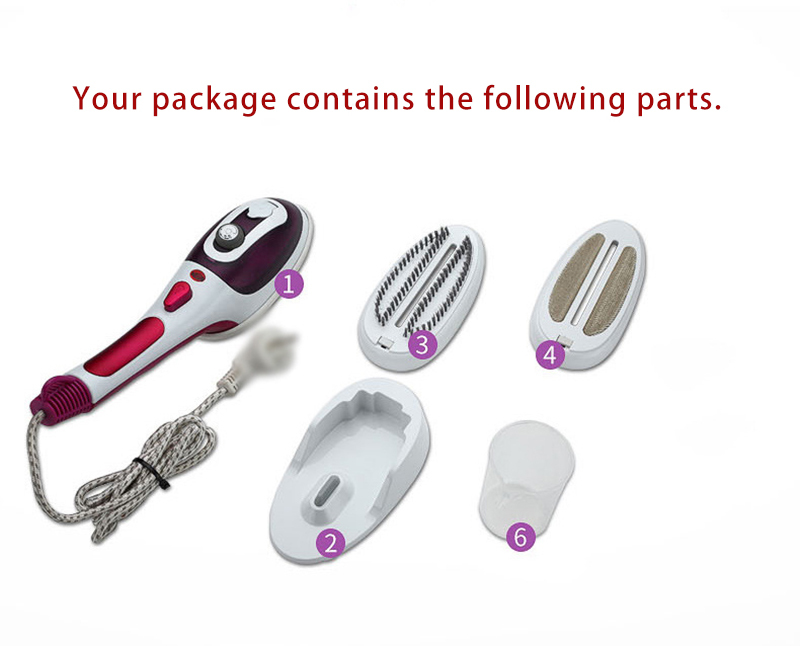 UPGRATED VERSION - Dual steamer and Iron. Produces a powerful and consistent steam. 2 in 1 for Flat hot and Hanging hot. Safer structure design to minimize leaking water. More sufficiently, and bursts strong hot steam swiftly, without water sputtering. QUICK & POWERFUL - Ceramic soleplate, heating up just 50s, prevents clothes from damaged. Powerful and stable steam to remove heavy wrinkle, odors and degerming.The steam is continuous and powerful, which can penetrate the clothes deeply and quickly. SUITABLE FOR MOST FABRICS - One handheld fabric steamer to make shirts, suits, down clothes, night dress, wedding dress, pants crease free. MULTIFUNCTION - Strong steam can be used in many ways-Cleaning dust. Pillow high temperature clean, sofa clean etc. BEST EXPERIENCE - We also provide 100 ML Measuring Cup. Perfect for travel and home use. Directly hanging your clothes on the hanger, putting them flat on ironing board or even on the table. (you need to add the water in the tank(100ML) not more than the max line or it will leak or spoil when you ironing). Secondly, adjust the temperature dial to the max, then the working light turned red. After the working light turned off, you can adjust the temperature to what you want, there has three settings, so them you can press the steamer button, and begin working. Finally, just add water and turn on, waiting for 50 sec, you can start ironing your clothes. Size: 35 x 8 x 10 cm /(13.78*3.15*3.93 inches). 1 x Plush Brush Combination. 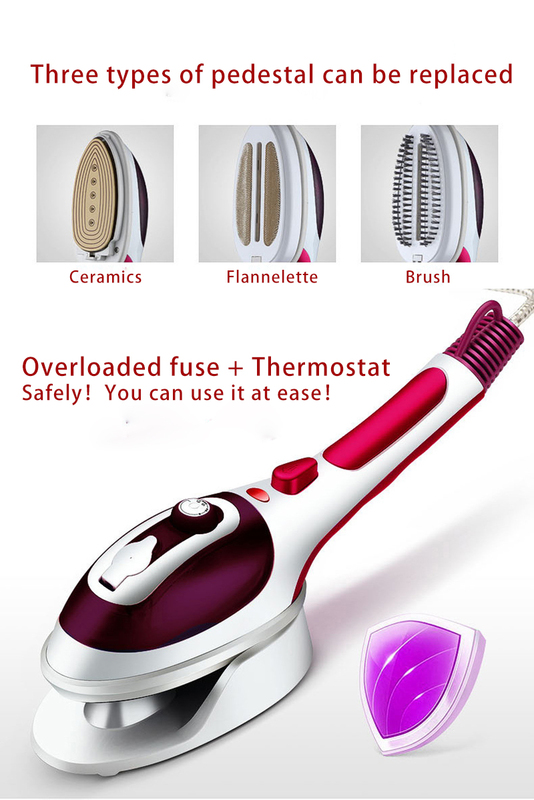 1 x Portable Handheld Steam Iron.